I had a wonderful lunch! People eating in the office pantry would, as customary to Filipinos, share their ulam (viand) and rice. And today somebody brought Bicol Express! This spicy concoction is a heap of peppers, ground beef and coconut milk. It's actually way too spicy for me, but taken in moderation, spicy food like this definitely increases your appetite! Longganisa (sausage) - I love this round, red variety. Mix the oil into your rice and it's longganisa heaven! I also like the longganisa made from Vigan. They're light brown in color, small like the one pictured above, and simply mouth-watering! Tapsilog - a concatenation of the words TAPa (beef) - SInangag (fried rice) - itLOG (egg), this popular combination is ideal for breakfast, but many food shops now offer it for lunch and dinner as well. Camoteng salad (sweet potato salad) - Actually there aren't any sweet potato in this number, but rather its steamed, edible leaves and stems. Mixed with vinegar, tomatoes and onions, this easy-to-make recipe is an excellent companion to fried dishes. Pritong Saba (fried bananas) - for snacks! Fried bangus (fried milkfish) - this came with the camoteng salad my mother-in-law served us in one of our meals. The milkfish is marinated prior to frying. Yummy! Entitled "What's on in Watson's blog? All the good things ...", this article in Ms. Annalyn's Blog-o-rama Column talks about watson.online and the blogs associated with it. Do drop by at Manila Bulletin online for the article. Thanks Ms. Annalyn! June is Independence celebration at Blogkadahan.com. And we are contributing our thoughts on why we are proud to be Filipinos! It's my turn today, June 26, to post on this topic. Feel free to drop by at Blogkadahan.com, and discover why I think we are so much like the great food we eat! Yay! 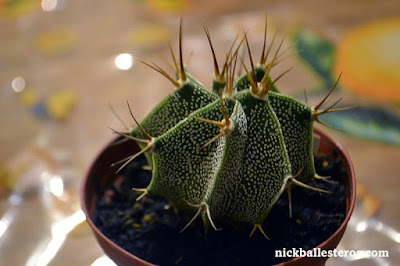 Blogger now incorporates image insertion into posting! Finally! Blogger has added an image in sertion utility into the editor! And I simply had to try it out. This is the small setting. Hmmm... it's a bit slower than expected though. And the size of the photo could have been defined in pixels rather than small-meduim-large. Here's a photo of me and Jo-Lo in one of our burping sessions. He takes some time to burp so sometines I let him lie on my chest and I gently tap his back. I'll be back in Manila next week. Until then! Baby Jo-lo decided to have his own blog. He wants to start early! We'll help him out in posting photos and articles, and then he will take over once he's gotten the hang of blogging and start spending time online. Do visit him from time to time at josecarl0s.blogspot.com. Thanks! Engrossed though we were in the fun things expecting parents do, we fervently hope and pray that your journey through life with us will be meaningful and full of love. Welcome to the world, Jose Carlos! We look forward to happy and wonderful years and Christmases with you! Jo-lo was born at 9:44AM, June 18 at 2.7 kilograms. Tina's Kuya Joey and her mom stayed with me. Visitors from my side of the family. Brothers, sisters, nieces, nephews, family friend, my Nanay. Roger with son Rovic, and Joseph. My friends from Pasay. Inay (Tina's mom) and kids (nephews and nieces) from her side of the family. I slept on the floor last night. Well, not exactly on the floor, or else the cold marble would have given me the chills. There was a rug and a mat underneath me. And a couple of pillows, with the electric fan oscillating to cool the room. And no, I wasn't drunk. Just the same, it was hard as any floor can be. This is one strategy to see if I can wake up early so I can report for work on time. Yes, I am guilty of going to work late. I'm a certified night person. I'm at my most active in the afternoon til past bedtime. I remember even bringing home work so I can finish it at night. It was a nightmare, though. I ended up being more tired as usual in the office and accomplished less. So I no longer bring home work unless I really have to. Anyways, I work up at 6AM. To you, it might be a wee bit late already but woo-hoo! I usually wake up at 7:30! There are caveats to sleeping on the floor, though. For one, your position in sleeping is limited. I woke up a couple of times when my arms would go numb because it's sandwiched between my body and the floor. I sleep sideways most of the time. I can't sleep on my back because somehow it doesn't feel right. So I got right to my early morning rituals and hailed a cab. Lo and behold. I still arrived late, though not as late as before. The traffic was just unbelievable. Aaargh. I miss having my wife around. She's in Baguio right now, the reason of which I will blog about next week. I felt I had to do something other than spend the Sunday afternoon in couch potato mode, so last weekend I checked out Evangelista Street to look for a car shop that can fix the rubber guard on the front side windows of Blackie. After getting a couple of "bring your car over and we'll see" comments, I got a clue and decided to bring Blackie along the next time. And then I chanced upon the row of thrift shops which my wife and I visit when we have the time (and money). It was a nice walk going in and out of the stores. I saw beautiful Japanese bowls at P100 each. There were Japanese dolls encased in glass that sold for P2,000+ each, and an assortment of odds and ends (magazines, books, clothing, bric a brac). These I shied away from; the apartment is already cluttered with toys and what-have-you that it's starting to look like a store already! One shop I like visiting specializes in old music. They play old songs while you browse their goodies. They also have a nice selection of long-playing records. It's been a while since I finished reading Narnia and re-read Book 4 of Harry Potter, so I looked around for some good reading materials. I got a Magic Eye book (not really for reading, but for looking at 3D images) for P40 (down from P50, and it's hardbound! ), and Stranger at the Gates for P10 (this title I thought was vaguely familiar. And then I remembered Enemy at the Gates. Oh well. At 10 pesos, I wouldn't mind reading this novel). Many shops boast of dinnerware in excellent condition but at a much lower cost. There are also chandeliers, golf clubs, baby things, and toys. 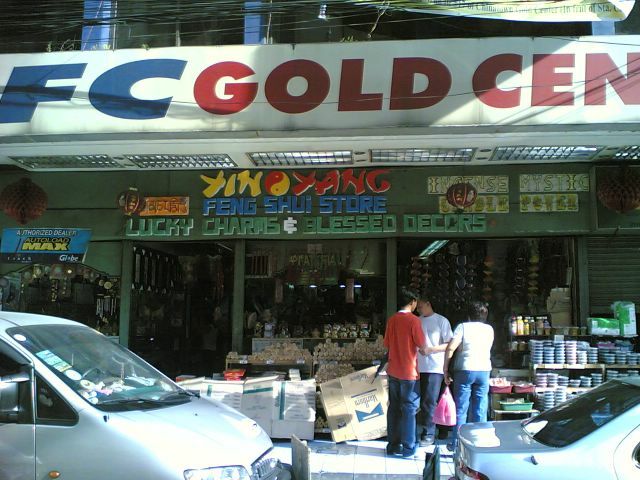 These shops are very near the market area located somewhere in the middle of Evangelista Street in Makati. Drop by and prepare for some haggling fun! Oh wow. I had been very busy these past few days that I wasn't able to update Star Wars week! Aaargh. Anyways, I plan to watch Episode III for the third time this week. Hey, this may probably be the last time I'll ever see "Once upon a time, in a galaxy far, far away" on the big screen so I'll make the most of it! A few weeks back, my friend and I went to Baclaran to look for Sony Ericsson P800 LCD screen. My office-issued phone did a double flip and triple sumersault last month, ending in a devastating cracked screen. The irony of it is that I have dropped the phone on cement a couple of times with minor scratches. But this time, it landed on the office carpet, and it cracked! So off to the Baclaran we went in search of parts. I have visited some shops in Makati but they were charging me 7,500 pesos! We found a couple there, and they were selling the screen at 5,500 pesos. Way cheaper but still out of budget. I have to save for it. In the meantime, the P800 is spending its days resting at home. We dropped by Chinatown, a place which I rarely go to. I was instantly transported to another place. It's in Manila but it's not. Street and shop signs displayed Chinese characters. And the people looked different (obviously). We stopped by Maxim's and I felt like I was in a movie set. The patrons were Chinese. I was anticipating that any moment now, somebody would fly off into the ceiling and throw knives or do martial arts stances with an enemy, like in Jet Lee movies. The food tasted oddly different too, though Chinese cuisine is part of my food chart. It somehow tasted "more" authentic, having it here. And then there were Feng shui shops selling good luck charms. With all the good luck ever present, they must be experiencing brisk sales everyday! 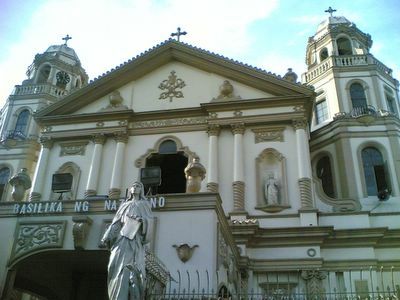 On going back home, we passed by the magnificent Quiapo Church, where the Black Nazarene awaits its yearly procession.